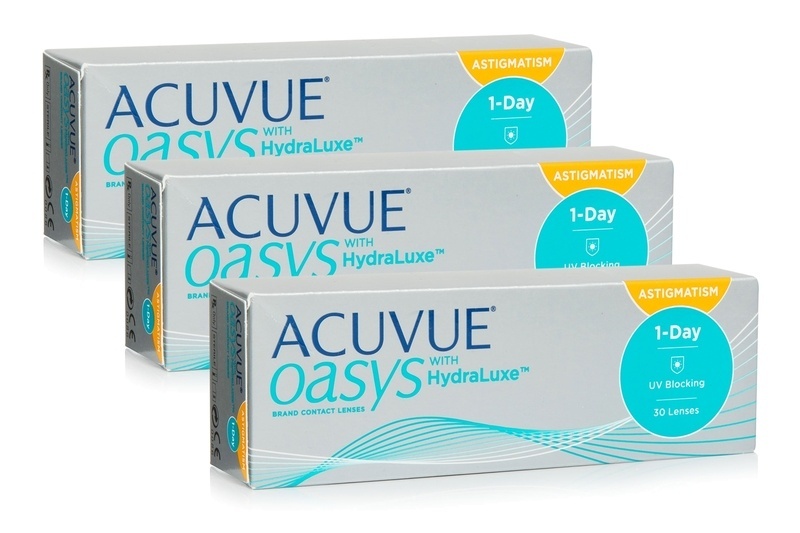 1-DAY Acuvue Oasys for Astigmatism silicon hydrogel toric contact lenses by Johnson & Johnson correct astigmatism. They offer, apart from high comfort, the patented HydraLuxe technology which reduces eyestrain symptoms and protects the eyes from getting dry. The integral parts of the high comfort are the soft surface of the lens which eye lids slide on without problems, and the optimized solution in the contact lens blister which imitates tears and makes the contacts feel comfortable from the moment you put them in.